Hyundai has not officially announced any timeline for the launch of the new model of Hyundai Verna, called the Hyundai Verna RB in India as yet. The new 2011 Hyundai Verna is just around the corner as dealers of the Korean automaker have started to take bookings for the upcoming machine. We have already spotted some spy shots of Verna RB pictures in production on the Internet, also the news coming from various sources suggest April 2011 launch of the Verna RB new model in India. The company has stopped taking bookings for the Verna Transform, which will be axed once the 2011 Hyundai Verna debuts next month. Pricing of the Verna RB is expected to be very aggressive to take on the Volkswagen Vento, Honda City and Maruti SX4 Diesel head on. 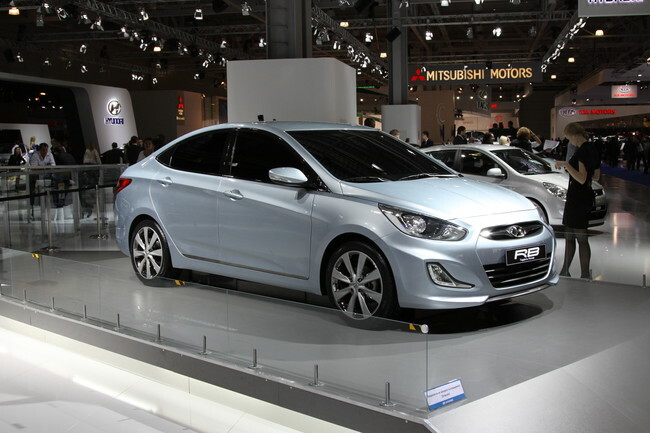 Hyundai expects to capture a significant share of the upper C-segment car market with the launch of the 2011 Verna. We cannot yet count on the information as of now, but the launch seems quite likely to happen in a couple of months. We will keep a close eye on the developments and will let you know of any official dates.